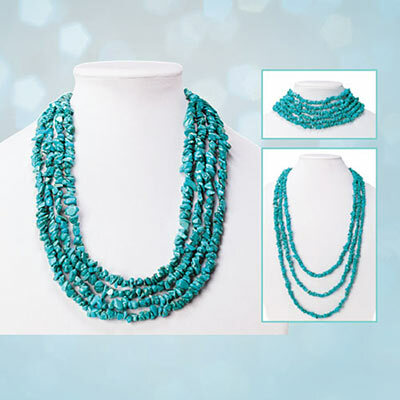 More than 400 authentic turquoise chips create this contemporary Timeless Turquoise Chip Necklace. Very versatile, this single strand can be worn long or wrapped any way you choose. 100"l.
very lovely and nice in length for layering.